It’s difficult to believe that our country’s canonized definition of art history continues to lack a comprehensive representation of the various contributions that African American artists have made to abstract painting. 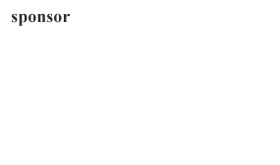 Yet, to this day, most anthologized collections claiming to comprise complete collections of contemporary art history still fail to feature more than a handful of black artists. Most African Americans who have been anthologized often represent those associated with the Black Arts Movement. While the efforts of these artists have undeniably helped further political awareness about the social and economic ramifications that institutionalized racism in the United States has imposed over the centuries, they only represent a small constituent of the black community’s contribution to art. In 2013, Valerie Cassel Oliver, senior curator at the Contemporary Arts Museum Houston, organized a two-part exhibition entitled Black in the Abstract. In recognition of the paucity of awareness of abstract black painters by the arts community, these two shows enriched the public’s limited view of abstract painting by expanding the definition of abstraction to include works by several black artists whose contributions to the genre prove significant. Chelsea gallery owner Michael Rosenfeld, a specialist in African American art, mounted a similar exhibition earlier last year. The first show to premier in his new gallery space, Beyond the Spectrum: Abstraction in African American Art, 1950–1975 brought together several pillars of abstractionism to further generate an awareness of the contributions that African Americans have made to contemporary genres more commonly associated with their white counterparts. Now on view at the California African American Museum (CAAM) in Los Angeles, Hard Edged: Geometrical Abstraction and Beyond is another important show to feature works by artists of African descent who have chosen abstraction as a vehicle for expression. While the show’s title references hard-edge painting, the collection includes a variety of contemporary works that loosely fit within the concept of geometric abstraction as a theme around which curator Mar Hollingsworth chose to base the exhibition. Drawing upon local sources, including CAAM’s permanent collection and private collectors, Hard-Edged includes works by 46 artists who collectively represent more than fifty years of abstract artwork. The oldest piece on view is by Elizabeth Catlett: an untitled black and white woodcut, printed on rice paper, and dated 1948. Catlett remains known for using both printmaking and sculpture to comment upon the inequities among race, gender, and class prevalent during her time. Additionally, her work continues to convey a clearly unique mixture of figurative and abstract art rooted in the Modernist tradition. Additional artists of note whose work appear in this collection include Noah Purifoy, Doyle Lane, John T. Riddle, Jacob Lawrence, Daniel LaRue Johnson, Ed Clark, and David Hammons. Other works on view represent a wide array of current day artists working in various media. Lisa C Soto’s “NGC 1003 & NGC 0913” (2015), for example, is a large, sculptural wall piece that assumes the appearance of a patchwork quilt. Made of fine wire intricately crocheted together, the piece is a testament to the artist’s meticulous application. Even more intriguing is Soto’s ability to convey a sense of fragility with such a seemingly rigid material. Kathie Foley-Meyer is another artist who seeks expression through unconventional materials. In an attempt to learn about Los Angeles’ ever-changing urban landscape, Foley-Meyers looked to research, which revealed that the city’s constant flux in economic stability remains a primary contributor to the lack of long lasting communities with which people can feel a sense of belonging. 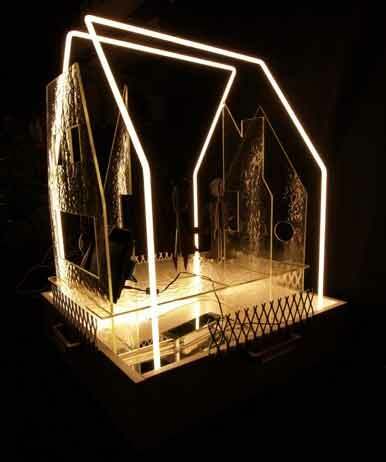 In “Brown People, Glass House” (2011), the artist integrated neon lighting to illuminate the borders of a three dimensional house, constructed out of glass sheets, where black ginger-bread-man-like inhabitants stand alongside a revolving family photo album containing celebrated familial moments. Two video installations appear in Hard Edged. One, by Lisa Diane Wedgworth, is entitled “No Amount of Scrubbing Can Make Me Forget the Time I’ve Wasted on You (Shower Vignette)” (2012-2013). In this looped footage, a woman’s hand rigorously scrubs the grout between shower tiles with a toothbrush. One of five vignettes produced by Wedgworth, the video depicts the act of scrubbing as a motif for feelings of anxiety and obsession. Concurrently, the piece confronts the exploitative and often dehumanizing conditions imposed upon the domestic in generations past. April Bey’s video installation, “Sheeeeit” (2014), is a continuation of the artist’s exploration of the toxic effects of hair relaxer. From a microscopic perspective, the video reveals the repercussions that the caustic material can have upon the hair. A second work by Bey on view is “Picky Head” (2014). Consisting of four floor-to-ceiling scrolls, the installation includes 4,000 user-submitted ‘selfies’ of black men and women as they appear with their natural hair. 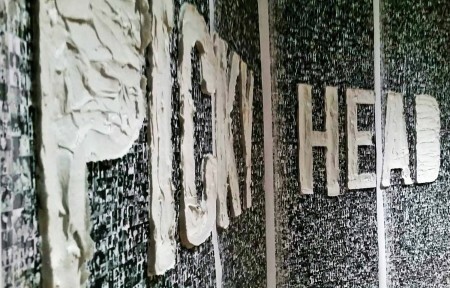 Across the scrolls reads the phrase “Picky Head,” a derogatory term that Bey associates with her childhood and once influenced her to mask her blackness. Composed of actual hair relaxer, the large letters don’t just physically convey the damaging results that the noxious compound can cause, but they allude to the psychological effects that can result from chemically altering one’s hair to conform to Eurocentric notions of beauty. On the other side of the exhibition stands a very different sculptural work. “Artillerie Prothèse – Ultima Ratio Regum” (2015), by Carl J-G Petion, consists of two elements. Splayed out like a blanket, glued pages cut from National Geographic magazines make up a colored “blanket,” evoking the feel of an old, hand-sewn quilt. Atop it stands a beguiling assemblage constructed from a crutch, wagon tires, wire, and other found objects. Loosely fashioned to appear as a cannon, the assemblage, juxtaposed against the “blanket,” eerily symbolizes Haiti’s rise against France over their twelve-year struggle for independence. Intriguing as well are several mixed media works by Nzuji De Magalhaes that infuse aspects of her Angolan heritage with art-forms she’s developed while living in the United States. “Obscured: Umbrella” (2012) is a wonderfully vibrant piece that innovatively blends yarn and beads with oil on canvas. By interweaving elements from both cultures, De Magalhaes has found a way to instigate dialogue through her work. Her primary objective is to dispel myths about her homeland while another is to communicate the threat that developed countries promulgate through the exploitation of third world resources. Of all works on view, three pieces by Enock Mack’s are probably the most consistent with geometric abstraction in its purest expression. “Agape, Love” (20XXX) constitutes four half circles, each executed in various flat colors and painted with hard-edges to produce a symmetrically balanced composition. “Jurassic” (2015) and “Tiger Woods” (1998) are Mack’s additional contributions. These, too, employ hard-edged lines but also occupy shaped-canvases, much like those introduced by Frank Stella during the 1960s. The remaining artists featured in Hard Edged include Chelle Barbour, Sharon Louise Barnes, Joseph Beckles, Ronda Brown, Mark Broyard, Lavialle Campbell, Castillo, Charles Dickson, June Edmonds, Melvin Edwards, Bre Gipson, David Hammons, Hillary Jaynes, Rashid Johnson, Samuel Levi Johnson, Doyle Lane, Isabelle Lutterodt, Eric Mack, Senga Nengudi, Kori Newkirk, Duane Paul, Doug Pearsall, Greg Pitts, Charla Puryear, Miles Regis, Michelle Robinson, Charles Rosenberg, Devin Troy Strother, Holly Tempo, Matthew Thomas, Richard Turner, Tim Washington, and Brenna Youngblood. A truly ambitious exhibition, Hard Edged delivers. 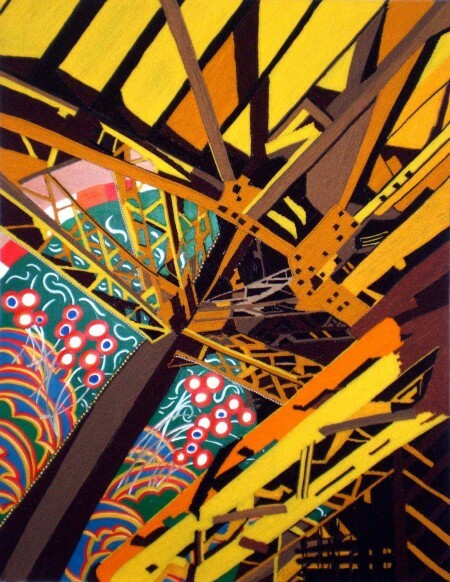 Not only does it illustrate the rich interplay of tradition, innovation, and individual talent among a vast group of visual artists, but it provides a clear representation of the contributions that African American artists continue to supply to our ever-growing pantheon of contemporary art. Hard-Edged: Geometrical Abstraction and Beyond will remain on view at the California African American Museum at Exposition Park in Los Angeles through April 14, 2016.